Playing top-level summer collegiate baseball in the Futures Collegiate Baseball League is a privilege. As in every aspect of life, this privilege carries many responsibilities. The exercise of personal responsibility as a member of the FCBL family is important to you as an individual in advancing your baseball career and realizing your full baseball potential. Exercising personal responsibility is also vital to the growth and development of the FCBL within our communities. These communities are enriched and ennobled by the example you set as role models for our kids. The FCBL cannot attain its goals and fulfill its mission without your full cooperation and commitment to act professionally and responsibly, both on the baseball diamond and in your adopted communities. 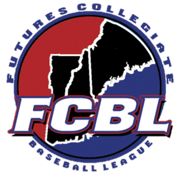 Each player for each team in the FCBL is expected to conduct himself, on the field and off the field, in a manner consistent with good behavior and in a manner that does not adversely affect his respective organization’s reputation, or the player’s own integrity, reputation and credibility. Each player must recognize that he represents, not just his college and university, but also his host family, his summer team, his adopted summer community and the FCBL, and that every action he takes will reflect upon the FCBL. Without in any way limiting the generality of the foregoing statement or any specific rules and regulation otherwise promulgated by the FCBL or the player’s individual team, each player shall be aware of the following principles and at all times comply with them. Each player shall comply with the rules and regulations promulgated by the FCBL and the individual team he plays for, both on the field and off the field. Each team shall have responsibility, in it's sole discretion, to discipline a player, to include suspension or dismissal from the team, for conduct it determines is inappropriate, violates any rules or regulations, or is contrary to the league’s expectations set forth in this statement.